On Location Casting MEMPHIS, TN AREA – Hallmark Movie “Wedding at Graceland” for work THURSDAY 4/11/19 – THURSDAY 5/2/19. Hallmark Movie “Wedding at Graceland” for work THURSDAY 4/11/19 – THURSDAY 5/2/19. Monday – Friday schedule, looking for someone with flexible and open availability to be our Full Time Stand-in. SHOOT DATES: THURSDAY 4/11/19 – THURSDAY 5/2/19. To be considered for the Main Stand-in, you would need to be available Monday – Friday for ALL of these dates! Also booking Utility Stand-ins for some of the dates as needed. Pay rate: $150.00 for 12 hours (with a 12 hour guarantee and time and 1/2 after 12 hours) Will be paid the full 12 hour rate even in you work less than that, however you MUST be available for the entire shoot day and have FULL day availability regardless of Call/Wrap times. 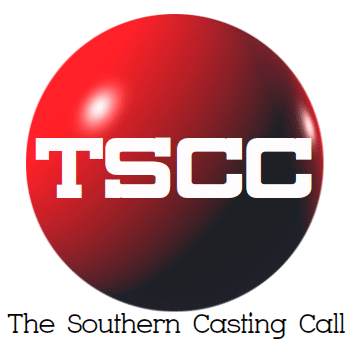 –On Location Casting is not your Employer of Record and does not issue paychecks for this project. FEMALE UTILITY STAND-IN: Female, Caucasian, age range 18-35, height range 5’6″-5’9″, blonde hair, average build, prefer someone with previous stand-in or on set experience but not required (*please specify any stand-in or on set experience when submitting). Availability can be flexible since you may not work every day, although prefer someone with open schedule. MALE UTILITY STAND-IN: Female, Caucasian, age range 18-45, height range 5’9″-6’2″, brown or blonde hair, average build, prefer someone with previous stand-in or on set experience but not required (*please specify any stand-in or on set experience when submitting). Availability can be flexible since you may not work every day, although prefer someone with open schedule. To SUBMIT: email to: olcgraceland@gmail.com with subject line STAND-IN BOOKING (specify which). Submissions MUST include ALL of the following: first & last name, contact number, height, weight, city you are located in and a RECENT photo taken of yourself within the past month. Photos MUST be of you alone with no one else in photo, NO sunglasses, NO hats, NO filters and should be taken against a plain/solid color background!! Specify any Stand-in or on set experience and if you are flexible open schedule or limited availability – if limited, please let us know your date conflicts.